Worship can mean different things to different people. For some it is attending our regular services or joining the community for a special event. For others it is the act of lighting a candle or simply spending time absorbing the atmosphere of the cathedral. Matins, or Morning Prayer – in keeping with early Christian tradition, this simple act of prayer begins the day. 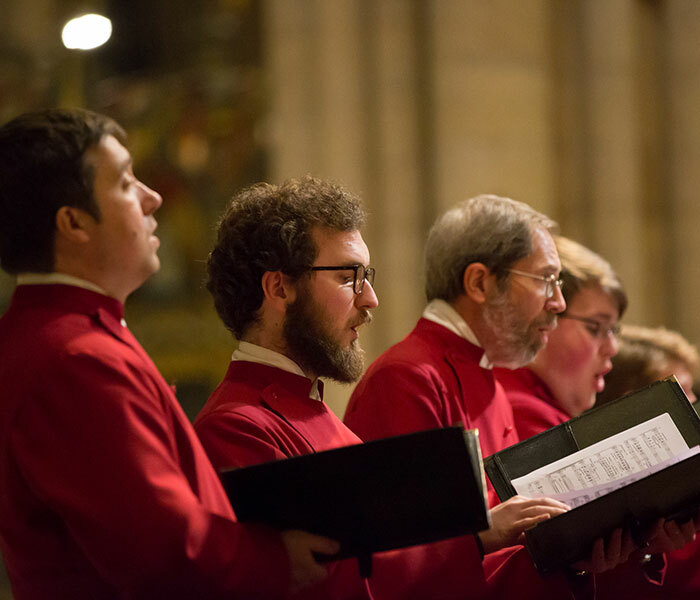 Evensong – this service, normally sung by the York Minster Choir, follows the order for Evensong in the Book of Common Prayer. The Eucharist, or Holy Communion is celebrated twice every day. For a detailed listing of our regular and special services, including a downloadable Service Scheme, visit the What’s On section. 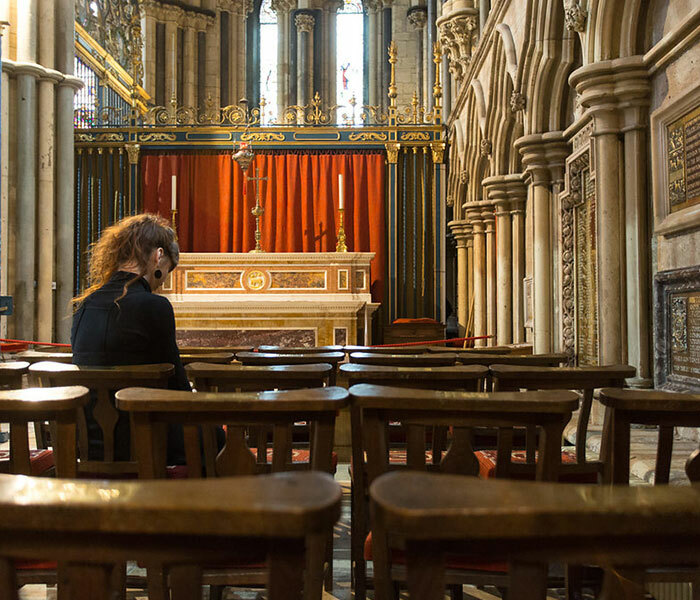 The Minster has absorbed the prayers of thousands of people across the centuries; many people visit to simply soak up the atmosphere and spend time in contemplation away from the pressures and noise of the day. Others choose to a light candle for someone or something close to their hearts, say a prayer or write a message to be prayed by one of our chaplains. You can also join organised activities and groups including Minster Mice, a simple service for young children and their parents and carers, or take part in special and occasional services, for example Threshold, a monthly multi-sensory contemplative service. See What’s On for upcoming services and events. Can I bring my children to the Sunday service? Children are welcome at our services and we run children’s groups each week during the 10am Sunday service which they are welcome to attend. Further details are available here. Is the Quire wheelchair accessible? There is stepped and ramped access to the Quire from the Nave next to the Kings’ Screen (see our map of the Minster for further details). The Quire area where the organ is positioned is mainly single level. About halfway down the Quire there are three sets of shallow steps which lead up to the high altar. For this reason, only the first section of the Quire is accessible for wheelchair users. Do I have to pay to pray/join a service? No – worship at York Minster is always free. We hold at least four services a day and there are places for prayer and reflection throughout the day. If you would like to make use of this space, or wish to speak to our duty chaplain, please let a member of our visitor team know as you arrive at the main entrance. Can I join a service if I have no faith? Yes – worship at York Minster is open to all.